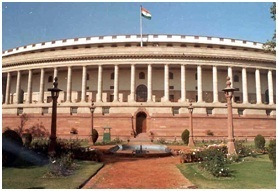 However, business of legislators got attention when ruling government started to find exit routes by making it up with the opposition in matters such as – the Goods and Services tax (GST) bill, for starters. The GST bill is the most ambitious tax reform in India, post independence. It seeks to bring indirect taxes under one umbrella and the resistance to it is equally political and economic although signs of a thaw indicate that the Bill may well become law in some diluted form, not in its original avatar for sure. Prime Monister Narendra Modi gave his full day attendance in Lok Sabha for the full day of first day session. Lending a keen ear to all debates, PM Modi finally would be taking a close look on ironing out the creases and has shown an inclination to discuss matters with Congress President sonia Gandhi and make all efforts to bring the opposition on board. Today evening, the Prime Minister would conclude the day 2 session with his version and is expected to reply to matters like bill reforms, intolerance, secularism and specifically the GST, which is the main focus of ruling NDA government.